You’ve heard us say it a million times: with a healthy, balanced diet, you’ll get all the macros, vitamins and minerals you need. Our ancestors didn’t need protein powders to get big and strong, and take down a sabretooth tiger, so why should we? Well, the truth is, we don’t eat as healthy as they did. We’ve replaced food from the earth with food from a factory, devoid of most nutritional content. Although luckily, not entirely. Some of the food of our ancestors has survived. Take heritage grains for example. These ancient grains have been planted and harvested the same way for thousands of years – and they’re just as good for you today as they were way back then. As opposed to modern wheat, these grains are rarely eaten in processed form, so they are more natural and act as a better source of vitamins, minerals, fiber and protein. They’re also a healthier source of carbs than refined grains like white bread, white rice and white pasta. To build muscle, you must have carbs. Eaten before your workout, carbs help you sustain energy, promote muscle growth and optimize recovery. When combined with protein, a carb-heavy post-workout meal helps refuel your muscles with the nutrients necessary to repair and rebuild. And guess what? Heritage grains are a great source of both carbs and protein! Start incorporating the following heritage grains into your diet to help you make the most of your muscle-building program. 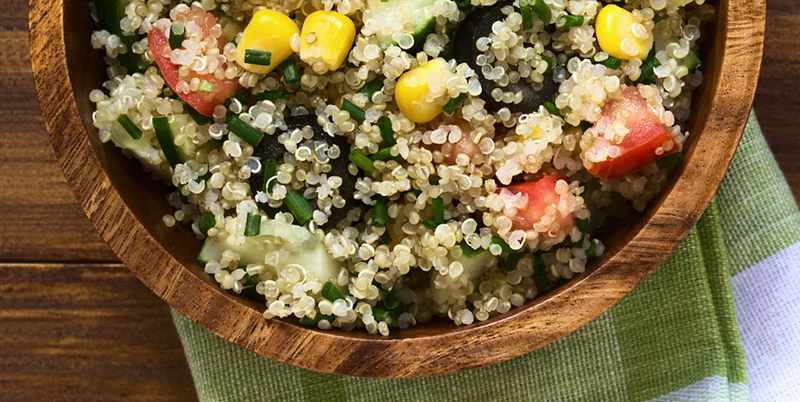 Quinoa – The most popular heritage grain, quinoa is a complete protein and contains all the essential amino acids. Farro – Farro has a similar texture to quinoa. It’s high in fiber, magnesium and vitamins and was used by ancient Roman armies to sustain energy! Barley – Barley is most often used in soups and stews, but it’s great on its own, too. This heritage grain is packed with fiber, calcium and iron. Freekeh – Don’t worry, you aren’t the only one who hasn’t heard of this grain. Relatively new to the market, freekeh contains more protein and fiber than brown rice.